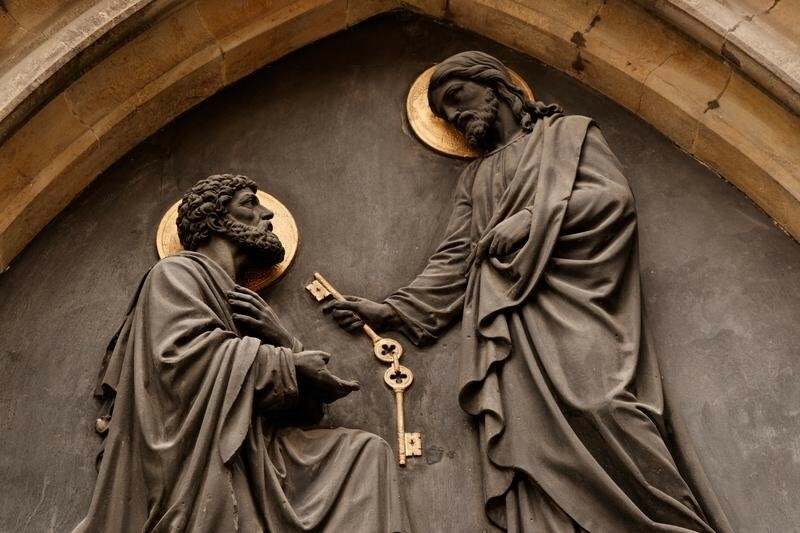 The Catechism of the Catholic Church (no 890) teaches that the task of the Magisterium is “to preserve God’s people from deviations and defections and to guarantee them the objective possibility of professing the true faith without error. Thus, the pastoral duty of the Magisterium is aimed at seeing to it that the People of God abides in the truth that liberates.” That’s a difficult and challenging job. No human being can ever hope to guarantee to teach the truth. This is why God intervenes in this task. What does “charism” mean? A charism (from Greek χαρισμάτων – charismaton) is a spiritual gift of God for the sake of others: “Now there are varieties of gifts, but the same Spirit; and there are varieties of service, but the same Lord” (I Corinthians 12:4-5) Saint Paul speaks about some of these charisms in I Corinthians 12:6-10. Infallibility is one of these charisms. The Compendium (no 185) explains that this gift is employed in two ways: (1) Extraordinary and (2) Ordinary. (1) Extraordinary Magisterium, in turn, can be done in two ways. Note that infallibility covers only matters concerning faith and morals. When the Holy Father or the bishops speak about football or biology or economics, infallibility does not apply, unless the matter touches on some truths of faith or morals. So, how dependable is the Magisterium? Since the Holy Spirit guarantees that what the Magisterium teaches about faith and morals is infallible, there is no higher authority, not even an expert in theology, who can overturn a teaching of the Church Magisterium: no theologian can claim to have the unassailable assistance and express approval of the Holy Spirit. Indeed, not even Jesus claimed that He was speaking for himself. “So Jesus answered them, ‘My teaching is not mine, but his who sent me; if any man’s will is to do his will, he shall know whether the teaching is from God or whether I am speaking on my own authority. He who speaks on his own authority seeks his own glory; but he who seeks the glory of him who sent him is true, and in him there is no falsehood’” (John 7:16-18). And Saint Paul teaches that “no one comprehends the thoughts of God except the Spirit of God. Now we have received not the spirit of the world, but the Spirit which is from God, that we might understand the gifts bestowed on us by God. And we impart this in words not taught by human wisdom but taught by the Spirit, interpreting spiritual truths to those who possess the Spirit” (I Cor 2:11-13). In this regard, if one should like to study more deeply the relation between theology and the Magisterium, he can consult the Instruction Donum Veritatis (On the Ecclesial Vocation of the Theologian), issued by the Congregation for the Doctrine of the Faith on 24 May 1990 and approved by Saint Pope John Paul II.